Enoch Burke is a young Irish author who writes about defending the Christian faith with conviction. His approach is soundly biblical, and he clearly believes what he is saying. As a young man he imbibed the tenets of New Calvinism, read Piper’s books and was captivated by the popularity and success of the movement. After some years, with the encouragement of godly parents, he saw the errors of his ways, came to his senses, and returned to true biblical Christianity. Burke has a particular burden for Northern Ireland, as a place where a historic ‘support for the fundamentals of the faith emerged in Protestantism’ (p. 91). It was the witness of biblical Protestantism in Northern Ireland that encouraged his parents to come out from spiritual apostasy, and they were subsequently greatly blessed. So, from personal experience he understands what New Calvinism is about. 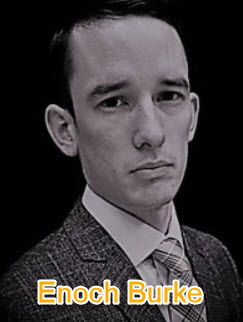 He writes: ‘New Calvinism and the philosophy of John Piper, Christian Hedonism, has made great inroads into the church, especially amongst young people of my generation’ (p6). His deep concern is that in today’s church the line of separation between Christians and the world has virtually disappeared. This increase in worldliness in the church, Burke argues, coincides with the rise in influence of John Piper. He contends that New Calvinism, by propagating a new and socially acceptable version of Christianity, has had a large impact on young Christians; the result is an influx of worldliness in the church and a loss of reverence for God. Today’s church, while professing a love for truth, is reluctant to contend for truth, as commanded in Jude 1:3. At the heart of Burke’s book is a passion to defend the truth of the gospel. The church has a two-fold duty towards truth. The first is to proclaim God’s Word to the present generation; the second, to keep and preserve the truth for future generations. He writes; ‘Each believer has a responsibility in this great task. To preserve truth is to present it pure to the next generation’ (p19). John Piper’s doctrine is summarised in these words: ‘You can have both. You can have holiness and levity. You can have pleasure and God. You can have the world and the church’ (p24). Burke argues that New Calvinism is not the authentic gospel but a departure from the true faith. A departure from traditional Christian admonition is prominent in Piper’s writings. He seldom mentions the need for obedience. ‘The focus of Piper’s writing is not calling sin as sin, or providing simple instruction to forsake the sin mentioned’ (p47). And, ‘Piper’s emphasis upon an imaginary holiness, as well as his ecumenical emphasis upon dialogue and discussion has placed him in opposition to the authority of God’s Word’ (p50). Burke is concerned that ‘while Piper professes to hold to the Scriptures as the Word of God, his exegesis of Scripture does not reflect historic Christian interpretation, nor the character of God as historically embraced by true believers’ (p56). 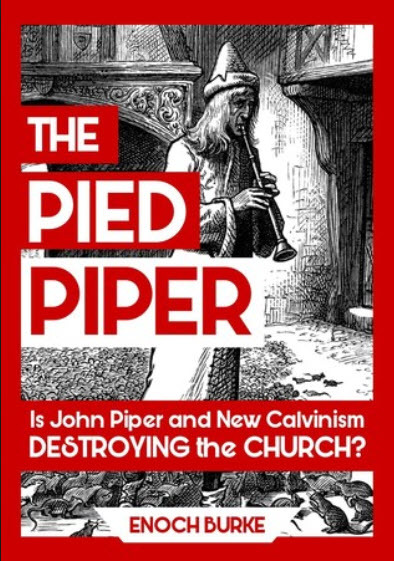 He concludes: ‘The adherents of Piper’s new ideas are largely ignorant of God’s law, dismissive of historical Christian practices and indistinguishable from the world’ (p56). In a discussion of the fruit of Piper’s ministry, Burke notes Piper’s lax attitude towards sexual immorality. ‘Can a concrete link be drawn between the proliferation of Piper’s teaching and the laxity towards sexual sin now tolerated in the church? I believe that it can’(p71). The final chapter calls upon Christians to take back the church from the hirelings and the heretics. ‘A Christianity without a contending for the faith is not genuine’ (p84). Burke is saddened that the scene in the church in Northern Ireland has changed immensely in the past few years. Many formerly fundamentalist denominations are now in the public house and on the dance floor, partly due to the influence of John Piper, but also because of the neglect of ministers in their duty to warn the flock. There have arisen ‘few voices in the leadership of churches in Northern Ireland who have published or publicly warned against the heresy in Piper’s teaching’ (p. 107). Burke concludes with this comment: ‘John Piper is not a preacher of the Gospel, but a heretic. He is a false prophet who is leading multitudes of young people to believe that devotion to Christ is compatible with sensuality, worldliness and pseudo-intellectual vanity’ (p112). In a final charge, readers are exhorted to take courage to engage in the fight against the false teaching of our day. ‘Despite this dark and evil day, this generation must faithfully pass on God’s unchanging truth to the next. I would exhort you, fight, fight not for yourselves alone, but for the next generation. May their spiritual welfare, and the promise of God to multiply your efforts, motivate you to service in this holy war’ (p116). The author is not setting out to prove that Piper is a false teacher, for from personal experience he knows the truth of Piper’s heresy. The book does not focus on multiple quotes from Piper’s teaching; it assumes that most readers are aware that there are problems with the concept of ‘Christian Hedonism’. Young people who are taken with Piper’s bandwagon, need to read this book. Indeed, The Pied Piper is a must read for those who want to understand the errors of Piper and defend the Church against false teaching.